Seven photos of this monitor, built in Belfast in 1915 in just three months for the Gallipoli campaign. Only two other Royal Navy ships survive from the First World War, the light cruiser HMS Caroline, in Belfast, and sloop HMS President, in London. HMS M33, Portsmouth, 6 March 2007 1. M33 is one of five M29 class monitors built in Belfast in 1915 in just three months for the Gallipoli campaign. Her main armament was two 6 inch guns originally intended for one of the five Queen Elizabeth class battleships. The guns became surplus when the casemates where they should have been mounted proved unworkable. After Gallipoli, M33 served in the Mediterranean for the remainder of the First World War. In 1919 she was sent with five other monitors to north Russia to assist the withdrawal of British and White Russian troops after the Bolshevik victory in the civil war that broke out after the 1917 revolution. M33 then began many years of harbour service, which ensured her survival. Only two other Royal Navy ships survive from the First World War, the light cruiser HMS Caroline, in Belfast, and sloop HMS President, in London. 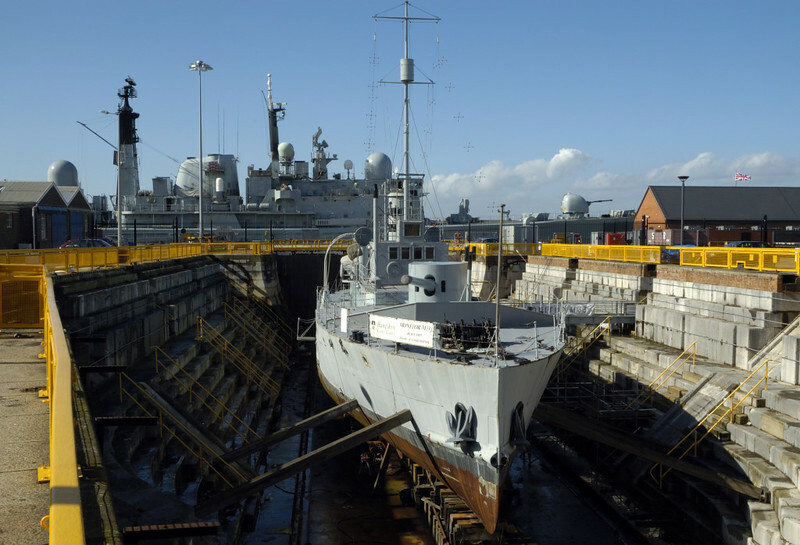 HMS Gloucester is beyond; it was decommisioned in 2011.